Kaja Beauty Bento Bouncy Shimmer Eyeshadow Trio in Orange Blossom - Sandy Peach, Sun-Kissed Tan, & Baked Cinnamon. The Kaja Beauty Bento Bouncy Shimmer Eyeshadow Trio retails for $21US and $26CAN for a 3 x 0.03 oz/ 0.85 g eyeshadow product in each palette. 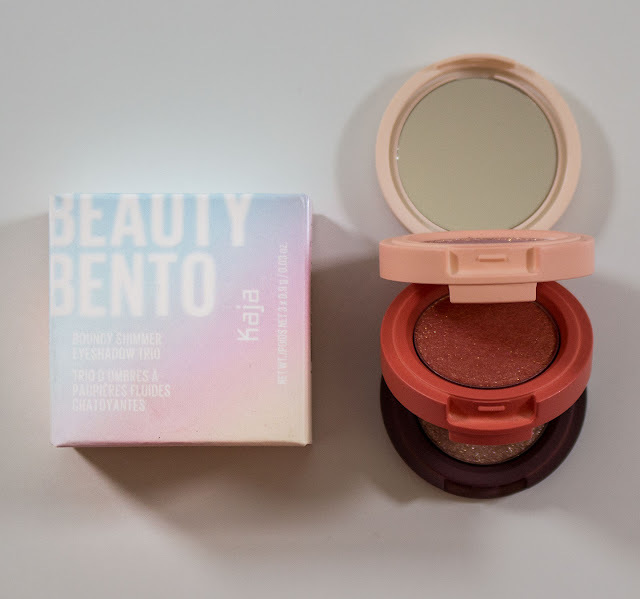 Kaja Beauty Bento Bouncy Shimmer Eyeshadow Trio in Orange Blossom box art. 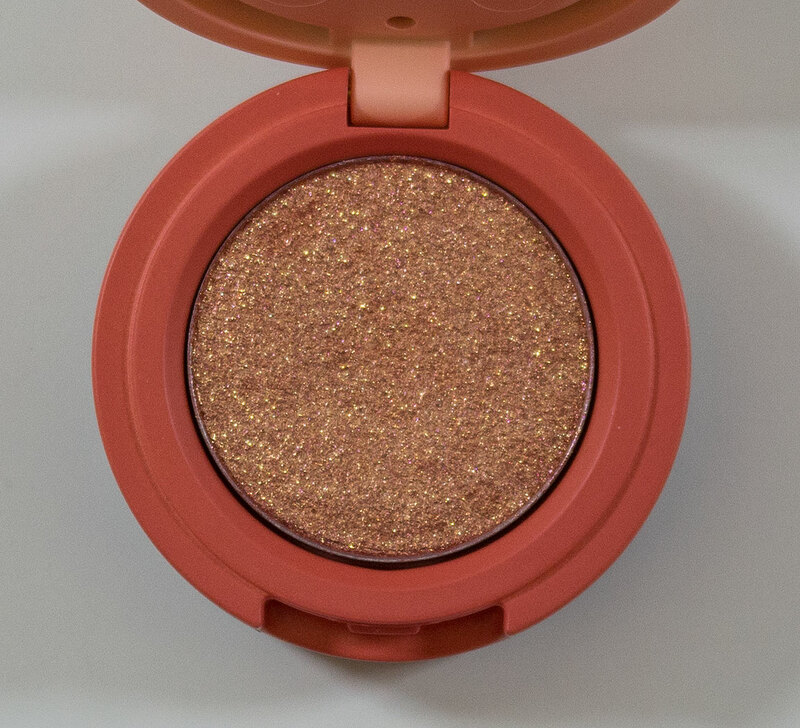 Kaja Beauty Bento Bouncy Shimmer Eyeshadow Trio in Orange Blossom lid opened. Kaja Beauty Bento Bouncy Shimmer Eyeshadow Trio in Orange Blossom lid and bottom of the stack. 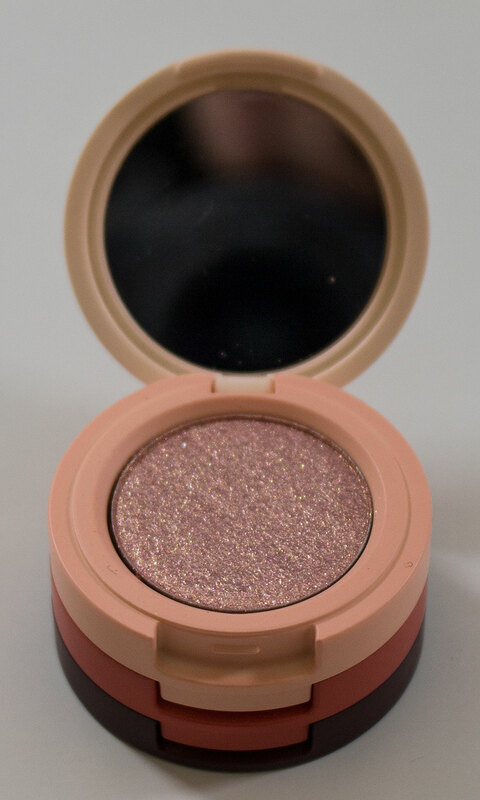 Kaja Beauty Bento Bouncy Shimmer Eyeshadow Trio in Orange Blossom Sandy Peach. 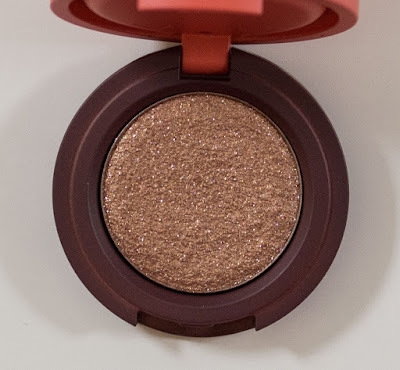 Kaja Beauty Bento Bouncy Shimmer Eyeshadow Trio in Orange Blossom Sun-Kissed Tan. Sandy Peach: Dimethicone, Calcium Titanium Borosilicate, Mica (Ci 77019), Titanium Dioxide (Ci 77891), Calcium Aluminum Borosilicate, Diisostearyl Malate, Hydrogenated Poly(C6-14 Olefin), Calcium Sodium Borosilicate, Polymethylsilsesquioxane, Synthetic Fluorphlogopite, Phenyl Trimethicone, Hydrogenated Castor Oil Isostearate, Silica, Aluminum Distearate, PEG-8 Dimethicone, Sorbitan Sesquiisostearate, Synthetic Wax, Dimethicone/PEG-10/15 Crosspolymer, Iron Oxides (Ci 77491), Phenoxyethanol, Propanediol, Carmine (Ci 75470), Tin Oxide (Ci 77861), Dipropylene Glycol, Sodium Citrate, Tocopherol. Sun-Kissed Tan: Dimethicone, Calcium Aluminum Borosilicate, Calcium Titanium Borosilicate, Titanium Dioxide (Ci 77891), Diisostearyl Malate, Hydrogenated Poly(C6-14 Olefin), Polymethylsilsesquioxane, Mica (Ci 77019), Phenyl Trimethicone, Carmine (Ci 75470), Hydrogenated Castor Oil Isostearate, Iron Oxides (Ci 77491), Aluminum Distearate, PEG-8 Dimethicone, Sorbitan Sesquiisostearate, Synthetic Wax, Dimethicone/PEG-10/15 Crosspolymer, Yellow 5 Lake (Ci 19140), Synthetic Fluorphlogopite, Phenoxyethanol, Propanediol, Silica, Tin Oxide (Ci 77861), Dipropylene Glycol, Sodium Citrate, Tocopherol. Baked Cinnamon: Dimethicone, Calcium Titanium Borosilicate, Mica (Ci 77019), Diisostearyl Malate, Hydrogenated Poly(C6-14 Olefin), Polymethylsilsesquioxane, Iron Oxides (Ci 77491), Titanium Dioxide (Ci 77891), Phenyl Trimethicone, Calcium Sodium Borosilicate, Iron Oxides (Ci 77499), Hydrogenated Castor Oil Isostearate, Aluminum Distearate, PEG-8 Dimethicone, Sorbitan Sesquiisostearate, Synthetic Wax, Manganese Violet (Ci 77742), Dimethicone/PEG-10/15 Crosspolymer, Synthetic Fluorphlogopite, Phenoxyethanol, Propanediol, Iron Oxides (Ci 77492), Tin Oxide (Ci 77861), Silica, Dipropylene Glycol, Sodium Citrate, Tocopherol. 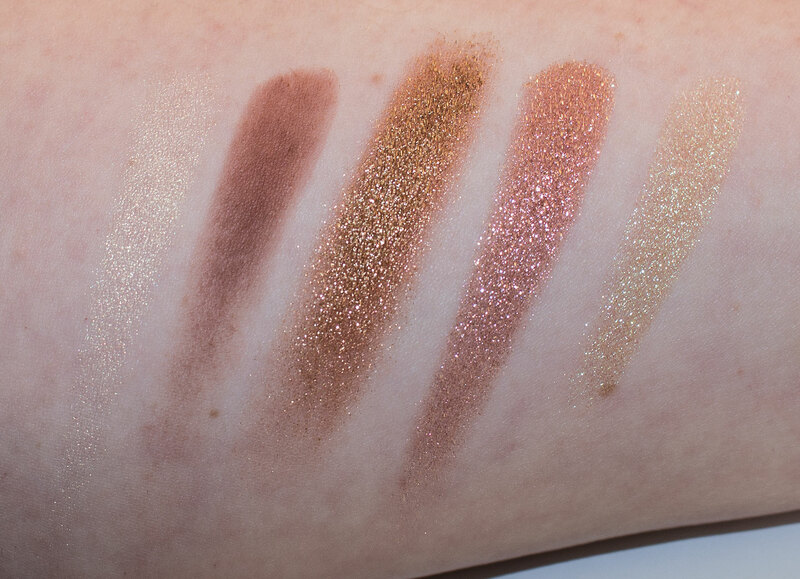 These are High Shimmer/Glitter shades that contain the ingredients of Calcium Sodium Borosilicate, Calcium Titanium Borosilicate, and Alumina which creates the mineral Glitter looks to the shadows. These ingredients were extremely rare to find in the market so the fact they are able to manufacture these in the Korean market is why they are becoming so much more excusable. Funnily enough, Calcium Titanium Borosilicate is listed as Glass on the ingredient list which it is but don't panic it's like really fine smooth sand. The formula is a sheer coloured base with high shine glitter that is smooth to apply with a finger or a brush. The formula of these is less dry compared to the Pat McGrath Labs Mothership V Eyeshadow Palette in Bronze Seduction eyeshadows with this formula and are slightly smoother to apply without a base. Just a heads up Kaja is a Sephora brand which has partnered with Memebox to create this line. The Products are all Korean based but the Brand its self is California based. That said it's an interesting hybrid in that you do get insert colour out of these products expecting in the USA market but with Korean sheer base cosmetic sensibility in their formula's from what I can tell. The eyeshadow was the ONLY product available in store to try out first and I was VERY pleased with the also the Rose Water in Champagne Cream, Ballerina Pink, and Deep Plum sheer colours and Sparkling Rose in Moscato Pink, Cassis, and Cognac eyeshadow with more of a berry punch as well. Sandy Peach is a pale coral pink with a high shimmer gold/white glitter finish. This shade is sheer but can be built up over a primer. 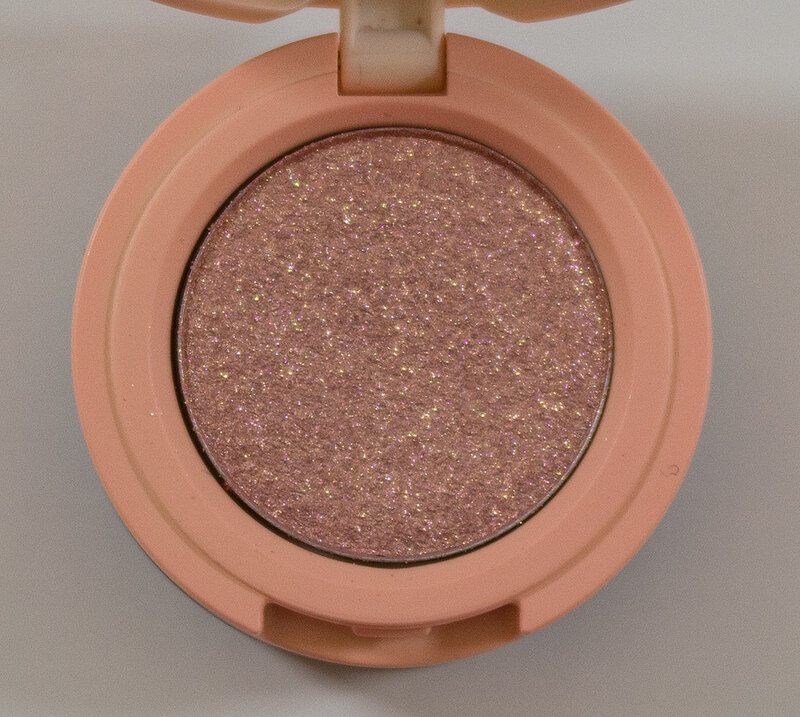 Sun-Kissed Tan is a bright peach with a high shimmer gold/white glitter finish. This shade is sheer but can be built up over a primer. Baked Cinnamon warm tan brown with a high shimmer white glitter finish. This shade is sheer but can be built up over a primer. Packaging: The palette is a plastic colour match stack with the top layer has a tiny mirror in it the size of eyeshadow pan. The eyeshadows are also the standard size pan inside each hinged tray. 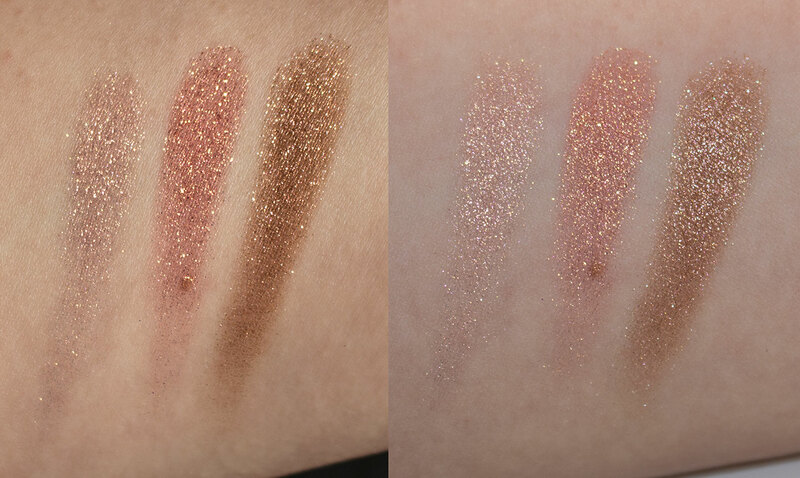 Daylight & Flash swatches: Sandy Peach, Sun-Kissed Tan, & Baked Cinnamon. My first impression of this packing was it's another gimmicky travel-friendly brand... I was not expecting new eyeshadow formula gaols!!! These 3 trios I tried in the store were gorgeous. 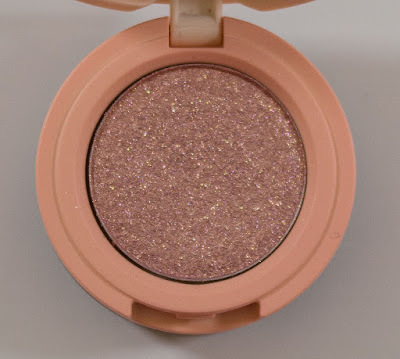 For me, Orange Blossom trio was the shade I would mostlyly to use as I'm a peach/gold daily wear girl. Rose Water was very pale pink and sheer in general while Sparkling Rose was a very berry trio. if you're interested as both had the same amount of Glitter glow to them. For the price, I'm glad these are standard size eyeshadow at $7US or $8.99CAN because they outperform most drug store and higher end brands. ;) I say one has got your work for your personal tastes so check them out. 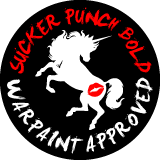 WARPAINT & Unicorns Makeup Favourites of 2018!